Mike Godwin (yes, that Mike Godwin) raised a question over on Facebook about early use of the internet here in the United States. I knew that I had been on the ‘net (for e-mail and USENET purposes) in the early to mid-1980s, and so did some Googling to see if any traces of that still existed. They do, though only a few. I found one of them to be interesting. 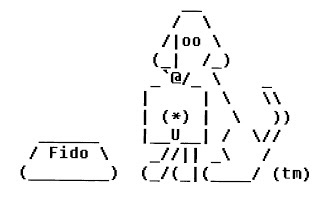 In that same timeframe — starting in 1984 or so — I ran a FIDO bulletin board system off my home computer. (Think of a BBS as a text-only website that only one person can connect to at a time.) I was living in San Diego at the time and got word through the tech grapevine that the California State Legislature was looking at passing a law that would hold BBS operators liable for the contents of posts left on their boards — anticipating the parallel issue that would arise a decade later as to whether web site operators were “publishers” or “distributors”. Needless to say, we in the tech industry (and especially in the tech publishing industry — I wrote for BYTE Magazine at that time) were very concerned, especially since the date for the hearing on the bill was just a few days away. A lot of us talked about showing up for the hearing, calling the relevant legislators, and so on. I actually plunked down money for a round-trip ticket to Sacramento and went to see what I could do. My report of that trip is still online nearly 30 years later. I wrote up the report and sent it out via FIDONet. Here it is, still formatted as it was in FIDONEWS. It is interesting to see how the same issues — particularly regarding credit card and identity theft — are still with us today. 1012, introducted by Sen. John Doolittle (R-Citrus Heights). dissemination of information to the public. information is guilty of a public offense. information, is guilty of a public offense. of all the concerned, outraged sysops and users? None. but I can sure take credit for the rest. and to call or visit their offices (as I did). then you had better be prepared to live with what you get. when no one else was willing to do much of anything. computers. A number of them also have implications for us. the laws. Some of you might consider doing the same. Nothing like a close call to get one excited, eh?